Happy November! I love when it's dark by 5:00pm. Just to let you know, I've taken my art out of my Etsy shop for now, until the Canada post strike has ended. It is "rotating" strikes, but there is such a back log of mail right now, that I don't want to get any of my art lost. 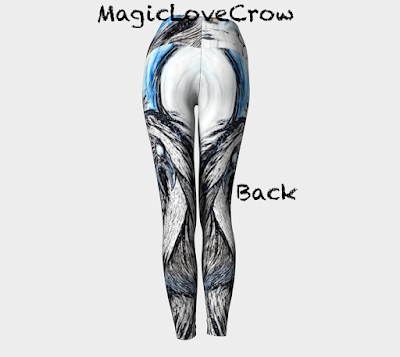 I've kept my leggings for sale, because the manufacture in Montreal, is doing a different company for posting. I guess I could do the same, but, I don't think people want to pay for the extra. Crossing fingers, this doesn't go on for much longer! 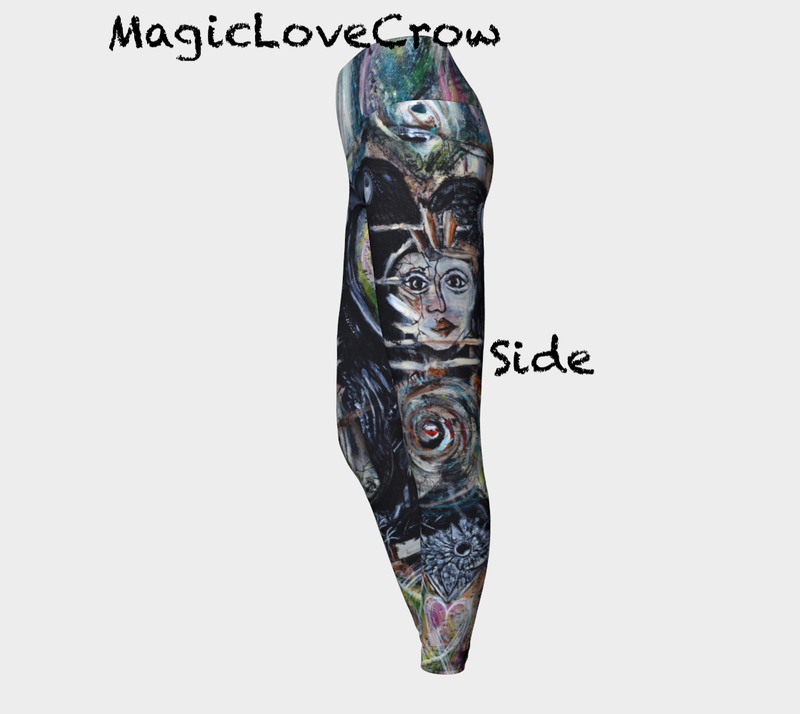 So, I've been playing around with my designs on my leggings. I created a new pair, from my last painting. "I Am Safe To Be Me"
I finished a new drawing too. And, guess what? Yes, I did leggings in this design too! Leggings are looking gorgeous.. and best of luck.. I think that is a good idea about etsy and the mail situation. Love these new leggings, and your art OMG!! this is gorgeous. I am so proud of you. Hugs N.
I, too, love it when it gets dark early. So cozy to light a candle and relax. I recently won a book from a giveaway and it's been quite awhile getting here. Guess it's going to take a little longer. Those leggings look amazing. Hope the postal strike ends soon. I wish I could afford to buy your leggings. They are simply awesome but I'm not working and every penny counts. I sure hope that strike ends soon. Sorry about the strikes. They need to settle stuff and soon. Love the new painting and your leggings!! You're so talented. Hope the strikes end soon. Sorry about the postal strike, hope it ends soon. 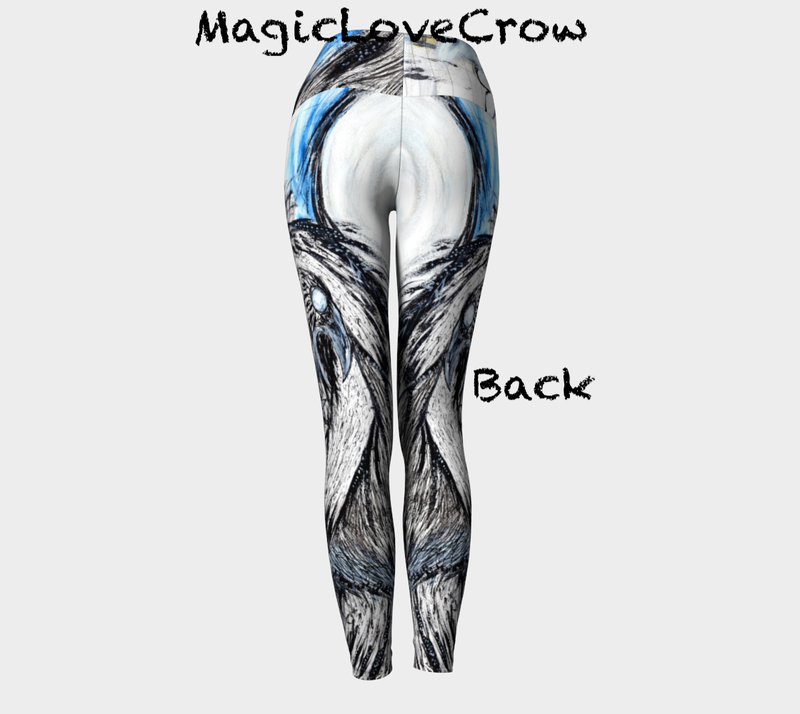 I think your designs look very good on your leggings. Enjoy the rest of the week, I can't believe how quickly the days go by! I love those leggings! Perfect designs. 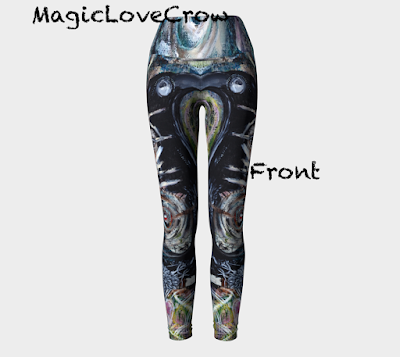 And your new art - and how it came out in the leggings. The strike must be so frustrating for those of you in Canada small business owners. I can't even imagine! Hopefully they come to an agreement soon. Sorry to hear about the post strike. That must be frustrating. Hopefully it will get resolved soon so everyone can get back to business. Hugs! I hope the strike comes to an end soon. 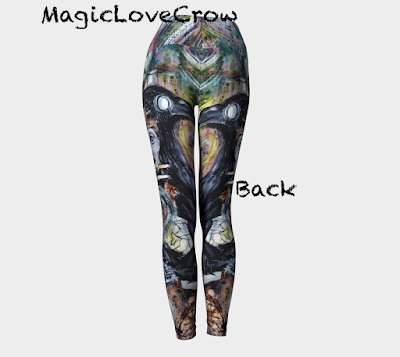 Love the leggings, especially the ones from that last painting. So stunning! 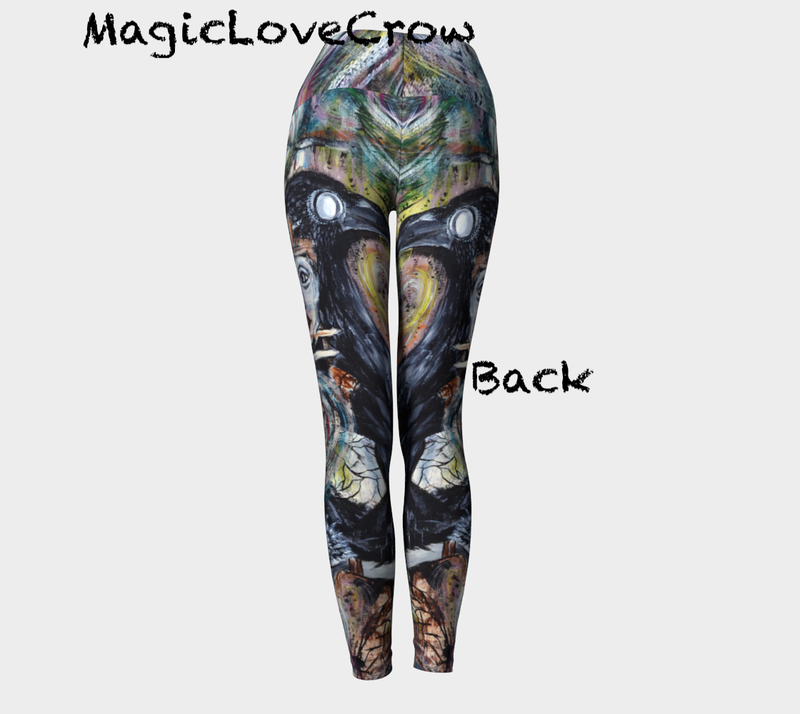 Awesome leggings! You're so talented! I was hearing rumors about a FedEx strike sometime next week around here, I wonder if it's all related? 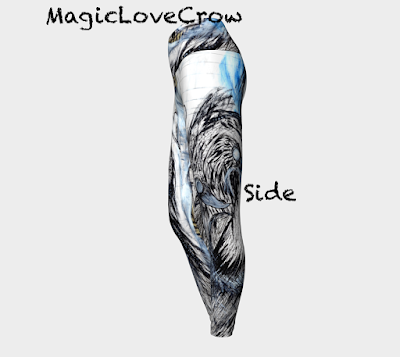 Loving the awesome leggings! Such detail! 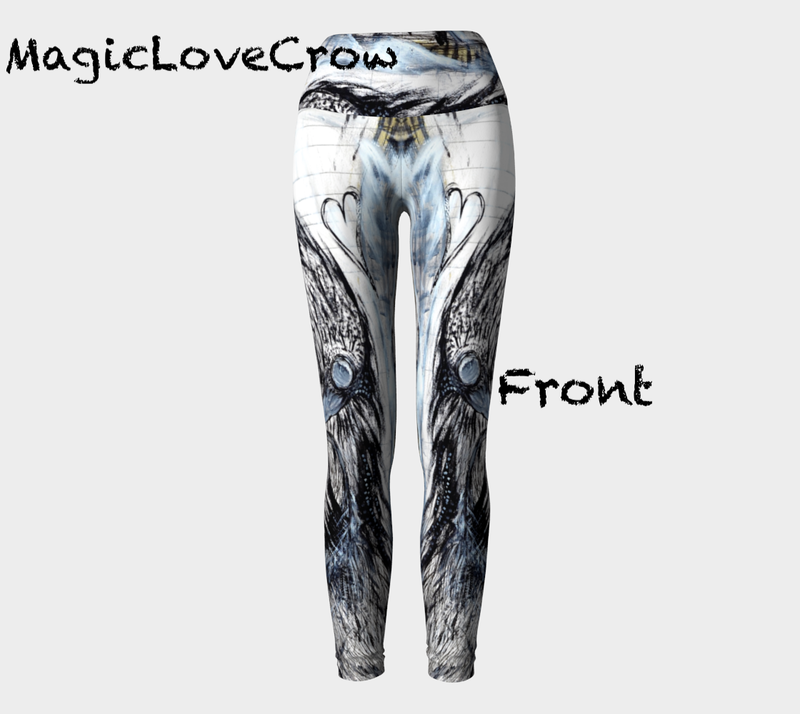 Wicked cool leggings! The newest drawing is amazing. I really like the way the bits of blue play with the overall composition. Here's hoping the strike will end soon! I hope the post strike is able to end soon and things get resolved. Both pairs of leggings are super cool. I love your newest art piece as well. Hugs- perfect! Wow, they look amazing! So cool looking. Oh I do so hope the post situation is resolved soon. It must be such a pain for you. Groan ~ I wasn't aware mail strikes were happening in Canada. I remember only too well how frustrating they are, having lived through other strikes in Canada. I'm sorry that they are impacting your business, Stacy. What amazing leggings! When I reach my weight goal, I might be brave enough to put a pair of your leggings on. They're beautiful and unique. Big hugs to you!!! I love both the drawing and the leggings. You are so talented. I hope everything is going well with you and your arts. That's a shame about the strike. Glad you're able to keep your leggings up for sale, at the very least! So sorry about the Canada post, hope it's resolved soon. Your leggings are so cute! By the end of December it will be getting twilight dark around 4:30! Take care dear!